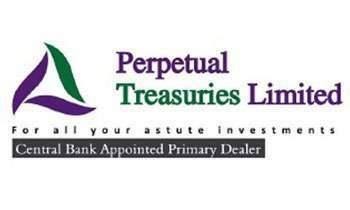 Colombo Fort Magistrate Lanka Jayaratne today refused to release Rs.1 billion belonging to Perpetual Treasuries Limited (PTL), that had been maintained in the Central Bank's RTGS account prior to the controversial bond scam. The defence earlier demanded that the sum be released for the expenses of the company as it belonged to PTL and existed in CBSL's system prior to the bond auction on February 27, 2015. However, after perusing certain independent reports from CBSL, the magistrate said the real amount that belonged to PTL prior to the bond scam was Rs.855 million and that funds cannot be released for the purpose of company expenses as the RTGS account was not a general bank account but was incorporated for a different purpose of the primary dealers. At the onset of the inquiry, Senior Additional Solicitor General Yasantha Kodagoda appearing for the prosecution tendered a further report with a sealed envelope which according to him contained observations of the Attorney General regarding the allegation levelled against two senior officers of the AG's Department over threatening an attorney at W.M. Mendis & Company. Kodagoda was of the view that it was for the consideration of the court to peruse the observations of the AG firstly and decide whether the document could be made available and attached to the main B-report. At this point, the defence counsel raised serious objection to the procedure in which this confidential document was tendered. President's Counsel Wasantha Navaratne Bandara appearing for the rights of the lawyer who is alleged to have been threatened by the two officers at the AG's Department was of the view that such tendering of document was not lawful as the Attorney General cannot go beyond and practice what was not stated in the Criminal Procedure Court over producing such documents. Subsequently, the magistrate grilled Kodagoda on questions raised by the defense as to whether it could be done lawfully. Kodagoda explained that there were many instances where the AG had submitted documents in a confidential manner even before the Supreme Court considering the nature of the containment of those documents. He was of the view that there was a practice in court as such and the procedure would only demand from court to peruse them and decide by itself whether the document can be made available to the public. However, considering the legal submissions made by the parties, the magistrate decided to further look into the legal aspect of the matter and deliver an order on whether such confidential sealed document be accepted by court. Thereby, the sealed envelope was returned to the prosecution till the order on it be delivered. On an earlier occasion, some serious allegations were levelled against the AG's Department and the CID by the defence counsel over forcefully recording statements from three individuals of WM Mendis & Company. Allegations were also made against two senior officers of the AG's Department who are said have threatened a defense counsel based on those statements. Meanwhile, PTL owner Arjun Aloysius and its CEO Kasun Palisena were ordered to be re-remanded till October by the magistrate over the magisterial inquiry in which they were accused of abetting and conspiring with Arjuna Mahendran to misappropriate public funds worth of Rs.688 million during the bond auction held on February 27, 2015. What a shame, the monies could have been used to make the flood victims happy!